I am a rescuer and foster mom at heart. The hundreds of cats and kittens that have come and gone through my home always take away a tiny piece of me with them when they leave. These beautiful creatures enrich my life while here and they’ve gone on to complete the lives of so many wonderful families. 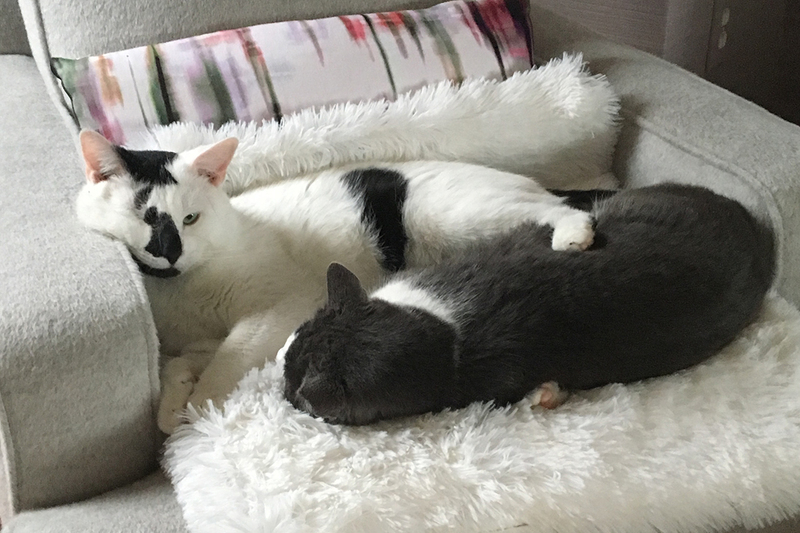 A few that stood out this year are the beautiful Patches, Oreo and Tiger, the unlikely couple of Brimley and Bean, gorgeous Frankie Miracle, and Moonrock and Mr. Gray. 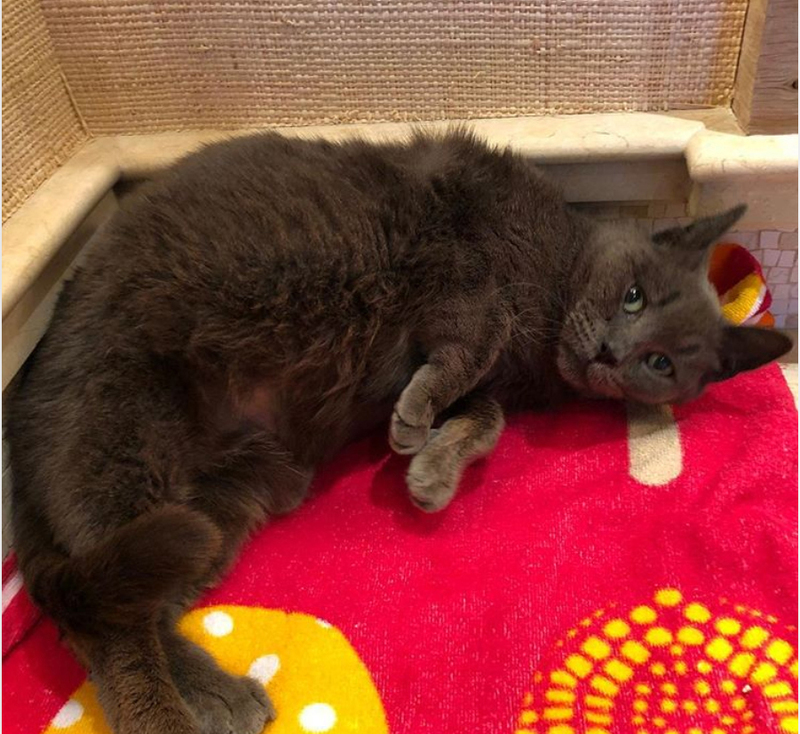 Sometimes, though, I get so sad and worried when I think of how Mr. Gray was on a list at a shelter to be euthanized. He was one of the lucky ones because North Shore Animal League America stepped up to take him in and treat his medical conditions. So many cats and dogs never make it off that list. Every year, millions of animals go into shelters in the United States and millions still are being euthanized. This has to change. We all need to live in a community of adopters. Adoption should be the very first thing people think of when they wish to find a pet rather than purchasing. It’s up to all of us in the community of rescuers to make sure all pets for adoption at a shelter or in a rescue group are spayed or neutered before they go to a home. Speaking about adoptions reminds me of all the incredible work that many people put in who volunteer at their local animal shelters. 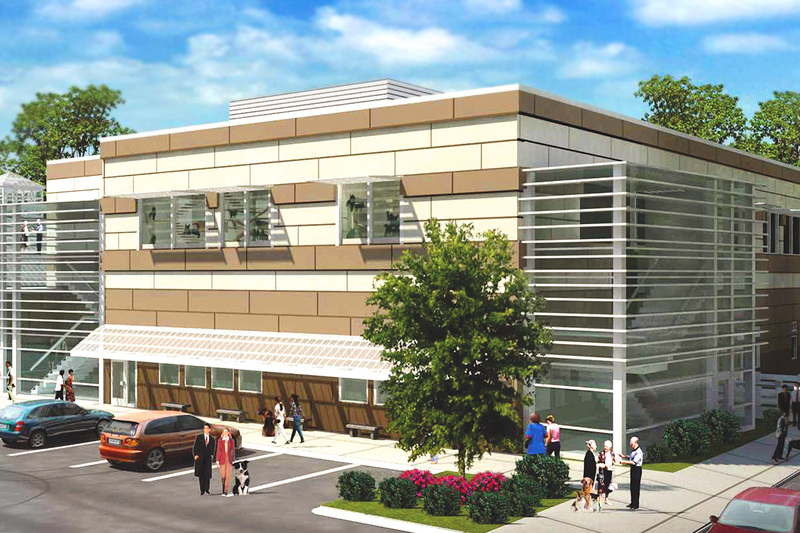 These volunteers deserve to be recognized during National Volunteer Appreciation Month in April. I would like to say thank you from the bottom of my heart to these people who are the unsung heroes of animal rescue—they are there day-after-day cleaning, feeding, socializing, and loving the homeless pets plus getting them adopted to responsible homes. 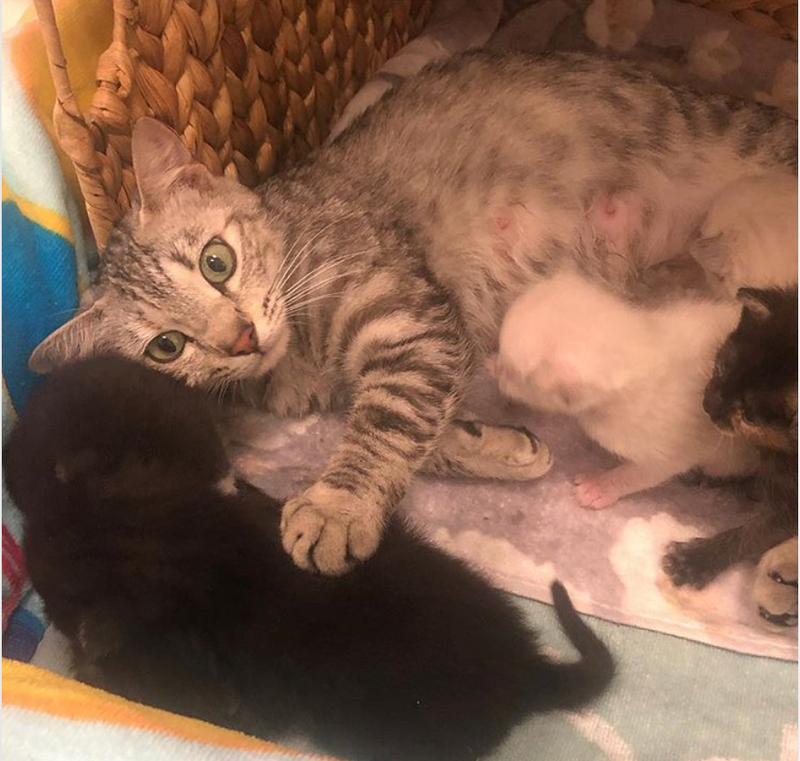 Meanwhile the mama cats keep coming into the Stern household — it’s Kitten Season again. I still remain hopeful that the numbers will get less every year as more get spayed and neutered. 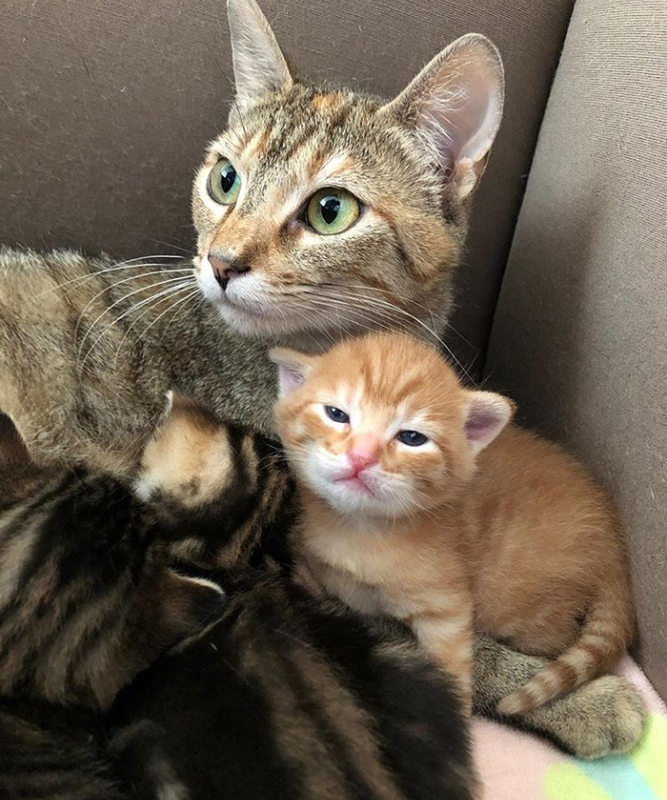 This year there’s Mama Sophie (shown above), who looks like a kitten herself, who came to me just in time to have her litter of three. They’re all doing well. Now there’s Mama April, who I hoped would have her litter on April Fools’ Day, but she preferred not to. We are still waiting anxiously. Then there’s Mama Truffle, who is being taken care of in my home in Florida. She’s got five growing nuggets and I will be picking her up to come to New York soon! Oh, I almost forgot. A new pregnant kitty just came in, Mama Lilly. 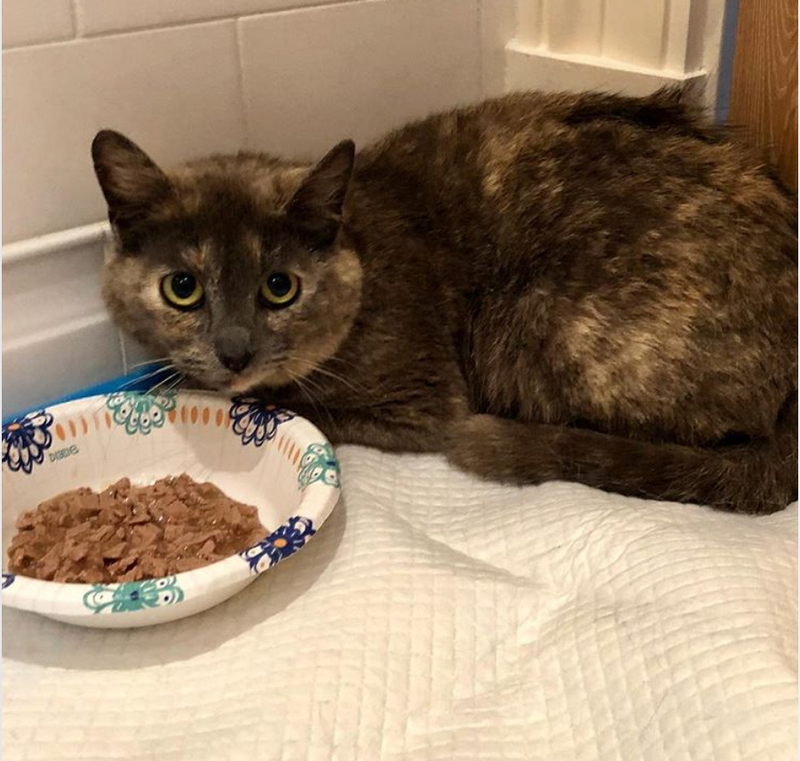 She’s a shy, beautiful Tortie and I can’t wait to see what her kittens look like. No-kill is at the heart of progress for pets, because when you say “no” to killing healthy, adoptable pets, you’re saying that each of those lives has value. The no-kill movement can’t succeed unless the people are kept informed about what’s happening. That’s why I am so glad that Animal League America is holding its first-ever No-Kill Giving Day on May 1st to celebrate its 75th anniversary and its no-kill philosophy. What a great way to make people aware of the organization’s mission of Rescue, Nurture, Adopt, and Educate and to give people the opportunity to support the NO-Kill mission. 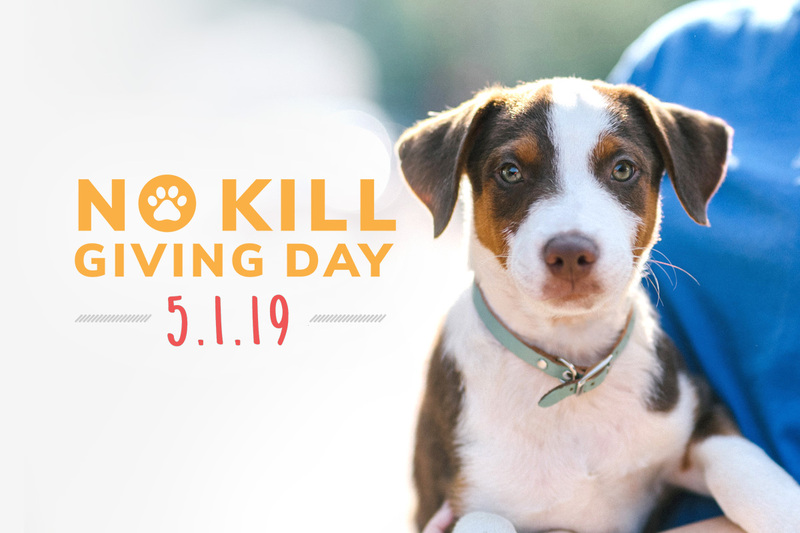 Learn more about No-Kill Giving Day. By the way, Howard and I are getting so excited about the opening of Bianca’s Furry Friends this year! We can’t wait to see the cats free roaming and playing and socializing together. 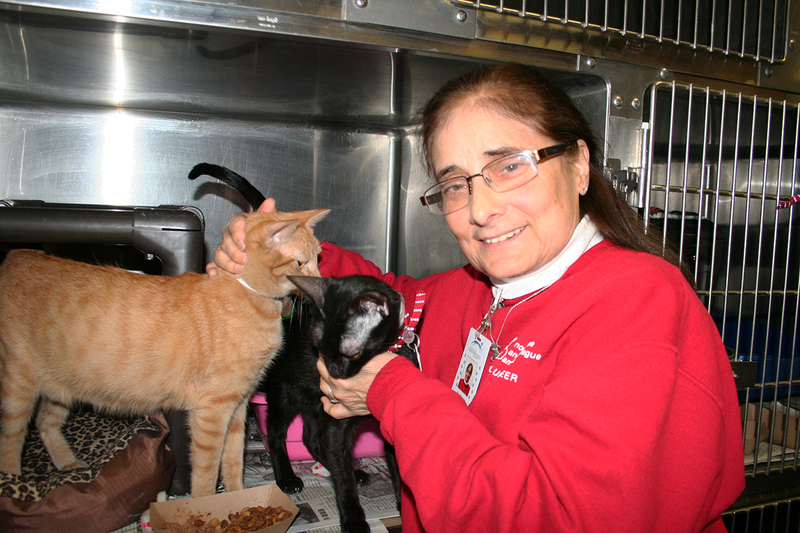 Funds raised from No-Kill Giving Day will allow the adoption center to provide even more for the growing numbers of kittens and cats coming in through rescue. And more and more adopters will see the joy of feline companionship. See the dream becoming reality. 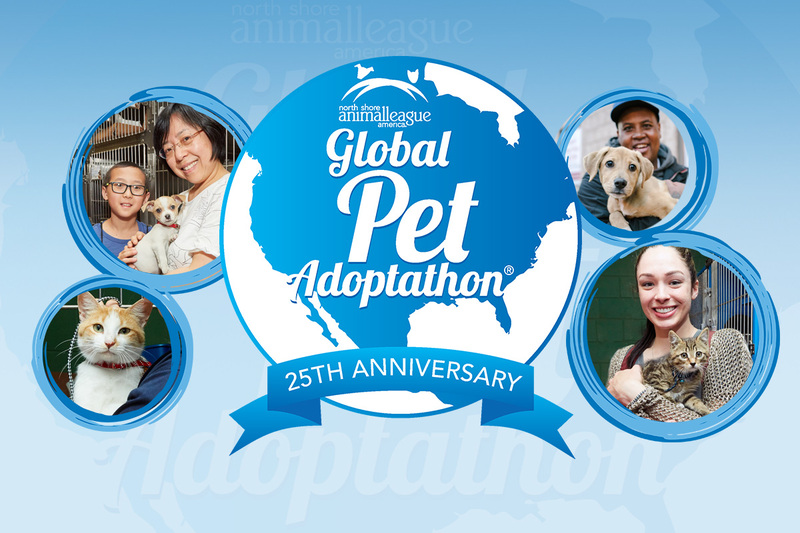 It also happens that the 25th Global Pet Adoptathon® — our largest pet adoption event — will also kick off during the first week of May. What better way to affirm the importance of the life of each and every homeless pet than by finding loving families for as many as possible. While there is the main event on May 4th and 5th at the campus in Port Washington, N.Y., Global Pet Adoptathon continues throughout the month of May with more than 2,000 animal shelters and rescue groups across the country and around the world joining Animal League America for this premiere global pet adoption event, sponsored by Purina® and supported by Swiffer®. As always, the clock is ticking as more homeless animals in the United States face euthanasia every single day. So join with me and Animal League America to pledge your support as we continue to save more lives and move toward the reality of a no-kill nation. Or maybe we should be thinking big and working together towards a no-kill world!